Brookside Yoga is excited to bring our Highland Farm’s natural skin care products, Pawpaw’s Crème Lotion Candles, Lotion Bars, and Lip Balm to the studio! Our products are100% handmade from all natural and certified organic ingredients such as beeswax, soy wax, cocoa, shea, and mango butters, coconut, olive, sweet almond, and jojoba oils, vitamin E, herbs, and essential oils. These ingredients are perfect emollient and will help soften and moisturize your skin, cuticles and fingernail beds. We guarantee there are no synthetic chemicals, such as paraffin, artificial fragrances or colorants. We use our own farm grown herbs and essential oils for scent, so the candles, lotion bars, salves, and lip balms are filled with all the good properties that naturally come with them. Natural lotion candles are delightful gifts to give to your families, friends, and yourself. These warm and slightly scented lights will add a calm and cozy feeling to any room. While the candles serve a lovely mood-setting purpose in their own right, they can also be used as body cream! Simply dip in the melted wax with your finger and massage on your skin. The soy wax and beeswax will naturally seal in moisture and allow the oils to work their wonders. Just perfect for relaxing self care rituals. $12/each, plus taxes and shipping. Recycle and bring back the glass jar to get 1$ OFF your next candle! Lotion bars are solid bars that can be rubbed onto the skin like lotion, as a tiny amount of the bar will melt with your body temperature, leaving a highly moisturizing and very thin layer on your skin. 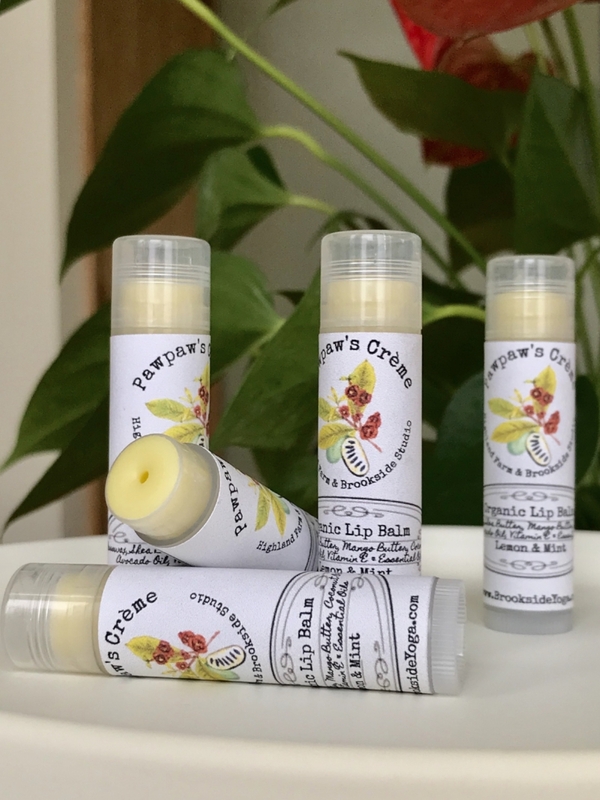 Our lip balms are handmade from natural and organic ingredients with no synthetic chemicals, artificial flavors and colorants, and will soften and moisturize your lip. Delightful Gifts for Families, Friends, and Yourself!